If you know me personally, then you know that I like nothing better than curling up and reading a book. I revel in the moments my other half has to leave me in the car for some reason or another or has work to do so I can get a few more pages down. I have such a passion for reading and writing, that if I could get paid for doing just that one day then I will be such a happy lady! For my first book review I’m going to be talking about the 6th Harry Potter Book. I was a little late on the bandwagon with Harry Potter, as I only watched the films and while I enjoyed them, they aren’t films I’ve been compelled to know more about but the books! The books are a whole different story. I feel like I’ve missed out on this whole other world of the films because there’s whole story lines, scenes and characters cut from it. I enjoy the books a lot more and now officially call myself a fan… or I think the term is ‘Potterhead’ and have spent a lot of my time finding out more about character’s back stories or just the physics behind everything (if I love something, I tend to love it A LOT!). 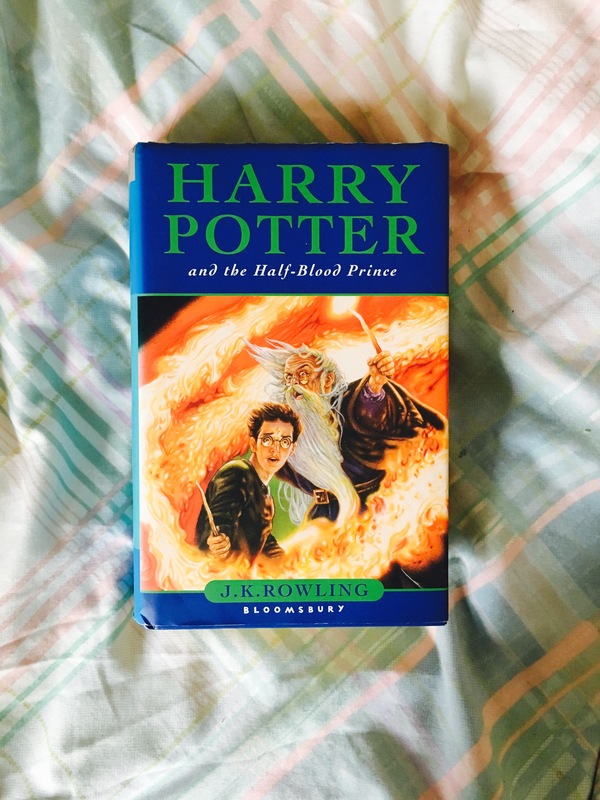 My favourite books in the series so far are probably the darker ones and the Half Blood Prince only took me about 3 weeks to get through, with me reading it every time I was on public transport (which is quite a lot). I have completely fallen in love with the books version of Ginny and her and Harry being together (SPOILER – SORRY!) makes SO MUCH MORE SENSE because in the films it was just random and I didn’t really understand it all! Another thing that I got clarity about was the horcruxes and how they work and how Voldemort split himself into six (or seven) parts. Although I wouldn’t say the books are amazingly written, with some things just kind of happening for the sake of saving Harry or for the story to continue, they are so much better than the films and I enjoy them way more than the films. The characters are just so much more developed and real to me when reading the books, which obviously, a film only has limited time to do character development but that’s what I enjoy about books. They have patience! I’m really looking forward to really get into the deathly hallows, even though I really don’t want it to end (and now I understand why everyone was so emotional a few years ago)! What books are you really enjoying at the moment? Have you ever been a little bit late to the party when it comes to a fandom? What books would you recommend for me to read in the next 12 months? Next Things I’ve learnt while being 20!